Researchers have identified a strain of <i>E. coli</i> that could consume enough choline, a key nutrient in a range of metabolic processes, to cause a deficiency in their hosts regardless of diet. For the most part, scientists think of the trillions of microbes that call the human gut home as allies — after all, they’ve been shown to aid the body in synthesizing key vitamins and other nutrients. But a new study suggests that things can sometimes be more adversarial. Co-authored by Emily Balskus, the Morris Kahn Associate Professor of Chemistry and Chemical Biology, and Federico Rey, an assistant professor of bacteriology at the University of Wisconsin-Madison, the study shows that under certain conditions gut microbes can consume enough of a key nutrient to cause a deficiency in their hosts. The research was described in a paper in Cell Host and Microbe. Among the effects that can arise from choline deficiency, Balskus said, are changes in DNA methylation, a process in which the activity of a DNA segment is altered with the attachment of a methyl group. The process is essential for normal development and has been linked to everything from aging to carcinogenesis. 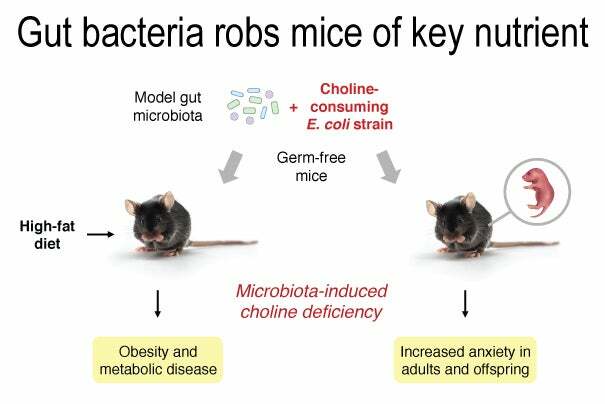 This study showed changes in DNA methylation across multiple tissues, not just in adult mice with a choline-consuming gut microbiota, but also in the pups of those animals while they developed in utero. Understanding the potential consequences of choline deficiency is important, Balskus said, because research has shown many people may be at risk. While most people don’t get enough of the nutrient in their diet, tests have also shown as many as 65 percent of healthy individuals carry genes that encode for the enzyme that metabolizes choline in their gut microbiomes. 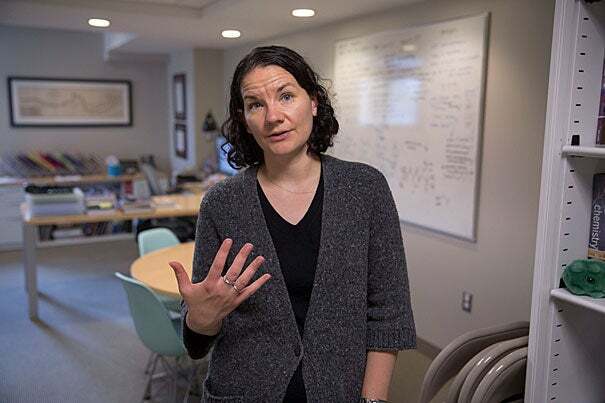 A better understanding of those links — between choline-consuming microbiomes and undernutrition, choline deficiencies and potential disease — could lead to changes in dietary recommendations, Balskus said. A panel at the Harvard Chan School discussed new options to reduce the statistic that has 1 in 11 Americans with diabetes. Professor Sara Bleich (third from left) suggested a food policy that would make consumers less dependent on willpower alone. Other panelists included Howard Wolpert (from left), Elizabeth Halprin, and LaShawn McIver.